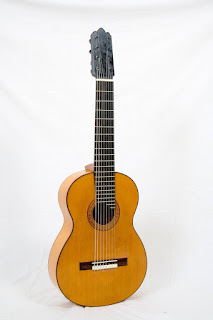 Guitarras custom construídas por Rodolfo Cucculelli, Luthier: 8keelne kitarr, Flamenco Blanca kitarr. 8keelne kitarr, Flamenco Blanca kitarr. Interview with Livio Gianola and theme "Colombiana"